The remarkable life of P.L. 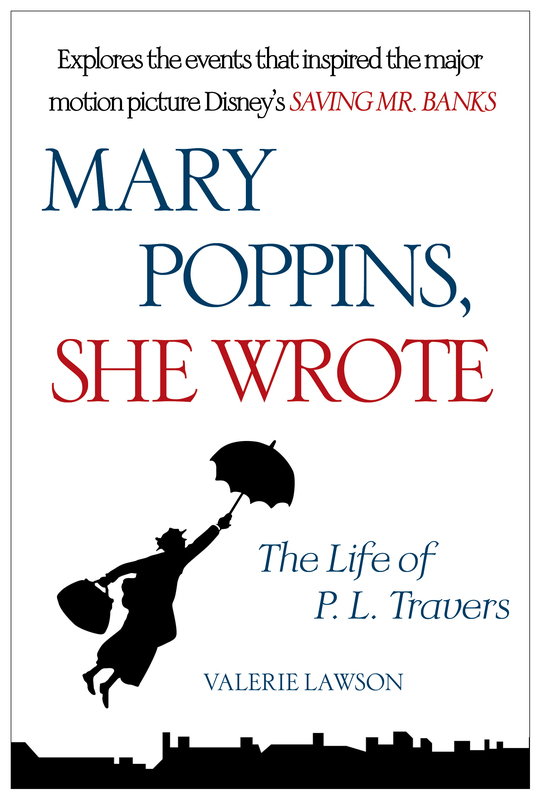 Travers, the creator of Mary Poppins—perfect for fans of the movie Mary Poppins Returns and the original Disney classic! The spellbinding stories of Mary Poppins, the quintessentially English and utterly magical nanny, have been loved by generations. She flew into the lives of the unsuspecting Banks family in a children’s book that was instantly hailed as a classic, then became a household name when Julie Andrews stepped into the title role in Walt Disney’s hugely successful and equally classic film. But the Mary Poppins in the stories was not the cheery film character. She was tart and sharp, plain and vain. She was a remarkable character. The story of Mary Poppins’ creator, as this definitive biography reveals, is equally remarkable. The fabulous English nanny was actually conceived by an Australian, Pamela Lyndon Travers, who came to London in 1924 from Queensland as a journalist. She became involved with Theosophy, traveled in the literary circles of W.B. Yeats and T.S. Eliot, and became a disciple of the famed spiritual guru, Gurdjieff. She famously clashed with Walt Disney over the adaptation of the Mary Poppins books into film. Travers, whom Disney accused of vanity for “thinking you know more about Mary Poppins than I do,” was as tart and opinionated as Julie Andrews’s big-screen Mary Poppins was cheery. Yet it was a love of mysticism and magic that shaped Travers’s life as well as the character of Mary Poppins. The clipped, strict, and ultimately mysterious nanny who emerged from her pen was the creation of someone who remained inscrutable and enigmatic to the end of her ninety-six years. Valerie Lawson’s illuminating biography provides the first full look whose personal journey is as intriguing as her beloved characters. 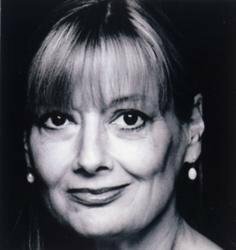 Helen Lyndon Goff had two fathers. One was real. The other she imagined. The traces of both men can be found in a third father, the completely fictional George Banks, the melancholy head of the household in the adventures of Mary Poppins. Mr. Banks was a banker, but he represented more than a pillar of the City of London with bowler and furled umbrella, grumbling about his personal finances and the chaos of his Chelsea household. Mr. Banks hired Mary Poppins to create order from that chaos, and, though he never went with her on one of her heavenly adventures, he knew instinctively that Mary Poppins was magic. Helen Lyndon Goff said she invented both George Banks and the practically perfect Mary Poppins “mainly to please myself.” Mr. Banks fulfilled many roles. He was the father, and lover, Lyndon wished she had, this whimsical bank manager who lives with his family at 17 Cherry Tree Lane, London, where, one fantastic day, Mary Poppins flew in with the East Wind. In truth, her father was a bank manager before he was demoted to bank clerk. He died in his early forties, his life unfulfilled, his family left destitute and forced onto the charity of rich but emotionally chilly relatives. Travers Robert Goff drank too much and wanted too much that he never attained. His legacy was establishing in his daughter’s mind the idea that she was not Australian at all, but a misfit in the Antipodes, a woman destined to spend her life in search of the fairy tales, poetry and romance of her father’s Irish fantasies. She even took his first name as her surname. As a journalist, writer and actress she used the pseudonym Pamela Lyndon Travers. Helen Lyndon Goff followed Mary Poppins’s greatest precept: Never Explain. She certainly never explained why she favored the cane-field version of her father’s life. It may have been a case of simple snobbery. Lyndon preferred to be the daughter of a gentleman farmer in the tropical outback than the daughter of a pen-pusher in the back office of a provincial bank. Whatever the reason, false versions of her father and her own early years in Australia shadowed her through life, and even after her death. Her obituary in The New York Times claimed that she was the daughter of a sugar planter, while the Guardian’s obituary writer believed she was the granddaughter of the premier of Queensland, who was also the founder of one of Australia’s biggest companies, Colonial Sugar Refining. Goff was born at home in Queens Road, Deptford, London, in December 1863, the second son of a shipping agent, Henry Lyndon Bradish Goff, and his wife Charlotte Cecilia. He did have Irish connections, though, with relatives whose surname was Davis-Goff, who lived in both County Wexford and near Galway, in the west of Ireland. As a young man, not yet twenty, Travers Goff sailed from London to Ceylon, where he took up tea planting before drifting on to Australia. He settled in New South Wales, and then, in about 1891, moved to the colony of Queensland. It is possible he was an overseer on a sugarcane farm at some time before his marriage. A portrait dated 1896, taken in a Sydney photographer’s studio, shows him with a droopy, oversized handlebar mustache, posed stiffly in a white suit, white shoes and pith helmet. There are similarities in the costume to photographs of sugar plantation overseers in the 1880s. But his outfit could also be a nostalgic acknowledgment of the clothes he wore in Ceylon. For a single man, there were worse places to be than the pretty subtropical town of Maryborough, a river port about 250 kilometers north of Brisbane, named after the Mary River, which flows through it. Like many of the coastal towns of Queensland, Maryborough looked a little like colonial Ceylon, with its wooden buildings—lacy, delicate—built to withstand the worst of the sweltering summer months. Maryborough was proud of its town hall, and Queens Park, laid out in the London manner with ornamental trees. A gun recovered from a shipwreck in the Torres Strait was fired each day at one o’clock. By the 1880s, Maryborough’s diversions included an Orchestra Society, band concerts held in the cool of the night, circuses, vaudeville, and moonlight excursions on the river. Just before Goff arrived, in the year of Queen Victoria’s Jubilee, motion pictures came to town. Maryborough lived on two industries: timber and sugar. In the decade to 1880, the sugar industry boomed with more than forty juice mills and sugar mills in the district. But the boom gave way to a drought that saw planters forced to mortgage their properties and unable to pay off their loans. Bankers, such as the directors of Goff’s bank, fretted over the low price of sugar and the worrying outlook for the industry. They began to foreclose, to cut plantations into farming blocks and offer them for sale. In much the same way, Lyndon as an adult scrutinized her investments, asking bankers, lawyers and agents to constantly check the balances, never thinking she had enough. Her fears came not just from her father’s problems, but from the foolish investments of her mother’s uncle, Boyd Morehead, son of a dour, careful Scot. Boyd was the black sheep of the canny Moreheads, a Scottish family described by Lyndon as “very rich.” She boasted that her mother, Margaret Morehead, was “educated in London and Paris and, until she married, always had her own maid.”7 From her mother’s family came Lyndon’s innate snobbery and prudence. Unlike the Goffs—elusive and difficult to pinpoint in their origins—the Moreheads’ story is a wide open book, set out in dictionaries of biography and the records of some of Australia’s oldest companies. The first Morehead to settle in Australia was Robert Archibald Alison Morehead, the third son of the Episcopal dean of Edinburgh. Morehead, a manufacturer of shawls and cloth in Scotland, decided to move to a warmer climate when he feared he had tuberculosis. Late in 1840 he was appointed manager of the Scottish Australian Company, and with his wife, Helen Buchanan Dunlop, arrived in Sydney the following year. He was twenty-eight. Soon after, two sons were born, Robert Charles in 1842 and Boyd Dunlop a year later. The family moved to 1 O’Connell Street in the heart of the city. There, the Morehead family dining room opened up right into the Scottish Australian Company’s office. Soon to move nearby were two Sydney institutions, the Australian Club (for men only), and the Sydney Morning Herald. At O’Connell Street, Helen Morehead gave birth to two more babies: Helen Christina, and the youngest, Jane Katherine. The Moreheads traveled often, and in style. P&O liners carried the whole family back and forth from England. The boys were educated in Scotland and at Sydney Grammar, but the girls were taught at home by governesses. Life on O’Connell Street left its imprint on the fictional home of the Banks family, 17 Cherry Tree Lane. Lyndon was told as a child how the four Morehead children lunched with their parents but took their evening meal in the schoolroom with the governess. The servants included a cook, laundress, housemaid and parlormaid. The natural good humor of the children upset their father; they liked to shock him by sliding down the banisters and by singing in bed early in the evening when the bank clerks could hear the racket, downstairs in the office. In 1861 Helen Morehead died, in her forties, leaving her husband to raise their four children, now in their teens. The youngest, Jane, just thirteen, was sent to boarding school at Carthona in Darling Point. Her big sister Helen learned how to become the matriarch and mothering nanny of the family. “At fifteen,” she later wrote, “I had to take up housekeeping. I was terrified at having to order servants about and I am afraid I was not much of a housekeeper but I did my best for father and he helped me all he could.”8 She never married, unlike all her siblings. Robert was the first of the children to leave home, marrying Maria Jacobs in 1867. Five years later, Jane married the Englishman William Rose. The last to marry was Boyd in 1873. He and his bride, Annabella Ranken, moved to Brisbane. Some of these nineteenth-century Moreheads later appeared in different guises in Mary Poppins books. Two of the Banks children were Jane and Annabel, named after Jane Morehead and Annabella Morehead. The Moreheads’ comfortable early life was funded by their father’s wise decisions. Robert Archibald Alison Morehead had arrived in Sydney with about £30,000 to invest for the Scottish Australian Company and had quickly moved into the moneylending business. He bought up mortgages and lent at the high interest rate of 12.5 percent. “Reaping the harvest of mortgages,” he called it. In this way, he was able to buy property in Sydney, Melbourne and the country. Morehead also moved into the commission and agency business and advanced money against produce, especially wool. He developed coal-mining interests in Newcastle and bought pastoral land in Queensland and in the Gulf country, including the huge property Bowen Downs. Because of Robert Charles Morehead’s early death, and the subsequent remarriage of his widow, Maria, their daughter, Margaret, was left in the care of her spinster aunt. This unplanned outcome, involving two Morehead wills, affected Margaret deeply. It also affected the upbringing of her daughter, Lyndon, and meant both women came into the orbit of a woman who was the prototype for the character of Mary Poppins. Robert Charles Morehead knew he was dying. Four days before his death, he signed a will appointing his father as trustee of his estate. He left £700 in trust for his wife Maria and his baby daughter Margaret. At the same time, his father, Robert Archibald Alison Morehead, changed his will. His trustees were to set aside £3,000 to be invested by his son, Boyd, and son-in-law, William Rose. The two men were to be trustees for Maria and Margaret. Six years later, in 1870, Maria remarried, much to the anger of the old man. That year, in another codicil, Robert Archibald Alison Morehead directed that Maria was to get just £500 from his estate on condition that she surrender “entirely all control over Margaret Agnes Morehead. Failing such surrender, the £500…is to pass into my general estate.” Little Margaret went into his own custody, the victim of very tense relations between her mother and grandfather. She lived with her maiden aunt Helen, and her grandfather, until he died in 1885. After Morehead’s death, Margaret Morehead remained in the care of her Aunt Helen and her servants in Woollahra, one of the most desirable suburbs in Sydney. From then on, Margaret was raised by this substitute mother whom she called “Aunt Ellie.” Aunt Ellie gave her the rules for life, as well as her values, mannerisms and sayings. Margaret passed them on to her own daughter, Lyndon, who in turn gave them to Mary Poppins. But while Margaret grew up in a secure and wealthy household, she was totally dependent on her Aunt Helen after her Uncle Boyd squandered her trust funds. While old man Morehead was prudent and slow, Boyd was a wild boy, impatient and ambitious. Too eager for experience to finish university, Boyd tried gold mining before working for the Bank of New South Wales, until he was sacked for insubordination. Father came to the rescue and Boyd went onto the land, managing the Scottish Australian property, Bowen Downs. After his marriage, he settled down to become a member of the Queensland Legislative Assembly, and set up a stock and station agency and mercantile business, B. D. Morehead and Co. Boyd became embroiled in a land sales scandal, yet rose to become the colonial secretary of Queensland, then premier for two years from the end of 1888. In the grand house Cintra, at Bowen Hills in Brisbane, he lived in style with his wife and seven daughters, touring his country properties and tending his city businesses, which included, from 1876, his directorship of the Queensland National Bank.11 This was no ordinary bank; it was more like a cross between the Bank of England and the opulent palace of a London bank which appeared in the film version of Mary Poppins. The Queensland National Bank was run by Edward Drury, an associate of Sir Thomas McIlwraith, who became Queensland premier in 1879. As premier, he transferred the government’s account to the Queensland National Bank. The Queensland National Bank was more than just the government banker. While it raised money for Queensland in London, it was also a plaything—a money box—for the businesses of government members. Its shareholders included eighteen members of the Legislative Council and Legislative Assembly. In 1891 the Queensland government and the Bank of England fell out with one another over a loan the government tried to raise in London. The tension undermined London’s confidence in both the government and the Queensland National Bank, which had to be propped up with government deposits. English investors in the bank started to withdraw their deposits and the bank’s shares fell well below par. As a director of the bank, Boyd was deeply involved in the crisis. He and his fellow directors took out an account to purchase the bank’s own shares. Over the years, Boyd had invested much of his own inheritance and much of his niece Margaret’s in bank shares and deposits. In May 1893, the bank closed its doors while it tried to restructure. It reopened for business late the same year, but its most damaging secrets were not revealed until three years later when the general manager died, and an investigation revealed that the bank was insolvent. By 1898, Morehead and other directors of the bank were cleared of charges of negligence. The bank was restructured again but many depositors were unable to withdraw their funds for years. Margaret had grown into a timid, pretty woman in her early twenties when she met Travers Robert Goff in Sydney, before he took up his banking job. He must have seemed safe, steady—reliable enough to provide an income for life. Not only that, he would have appeared sophisticated, a traveler who told her tales of Ceylon and how he dressed every night for dinner, a sahib with servants around him. From Queensland, he wooed her with witty, lighthearted letters, many written in simple verse. They chose to marry in Boyd Morehead’s hometown, Brisbane, on November 9, 1898, in the pretty Anglican Church of All Saints. Boyd gave the bride away. From this sense of misplaced birth, Lyndon felt a compulsion to travel away from the southern sun to the mists of Europe. That drive was fueled by her father’s romantic ideas of Ireland. But, like every child, her personality was set long before she made her escape in her twenties. Lyndon was formed by a combination of three adults—her parents and her Great Aunt Ellie—and by the interconnections of those three. None of the three was direct with her, none supported and nurtured her wholeheartedly. Lyndon’s brooding was not just a product of her loneliness, but a protection against a certain coolness in her parents. Travers and Margaret Goff were typical of their own time and place. Smalltown parents of the early twentieth century taught their children self-sufficiency and subservience. But more than that, Travers and Margaret were also caught up in their own self-importance. If parents are “a child’s first gods and responsible for many seeds of fate,” as Lyndon later wrote, then the Goffs planted too many seeds of doubt and mystery. They left clues, but they were too simple, too rudimentary to be of much help. Lyndon fell back on her parents’ proverbs, rules and random lines from poems, as well as their books, to elaborate, fantasize and help create sense. The Goffs’ life in Maryborough was simple, not indulgent, not centered around possessions. Lyndon had few toys or personal treasures. Each week her parents gave her a penny; Lyndon had no way of knowing the value of the mysterious object called a sovereign, encased in a small square contraption on her father’s watch chain. Her mother might buy her little things, a roll of blue ribbon, or a delicate fan with shining pink roses. Her dolls were made of wooden spoons, dressed up, but they lived adventurous lives. In any case, it was not things, but words, that stirred Lyndon—the stories, ballads, and old wives’ tales shared among widely scattered neighbors. Only much later, and only to trusted interviewers, did she confess that these stories were an amalgam of her childhood memories and that not everything she said should be taken for granted. Before the birth of the Goffs’ third daughter, Cicely Margaret (Moya), in July 1905, Helen Lyndon, then five, was sent to Sydney to stay once again with Aunt Ellie. She never quite knew why she was sent away to her aunt. She thought it might have been a treat just for herself. In any case, that was how she decided to take it. The journey from Brisbane to Sydney lasted all night. The guard lifted the five-year-old onto a makeshift bed in the luggage rack of his van. Lyndon heard the train’s whistle as the carriages slid through the darkness, watched lighted windows in the little settlements along the way before drifting to sleep. The train was an iron thread, a fiery necklace, linking Mother in Brisbane with Aunt Ellie in Sydney. She liked to think that Ellie had sent the train herself. It was her own carriage taking her to the haven of a fairy godmother.28 Many children would have clung to their mothers, the separation too much to bear. Helen Lyndon, though, was an adventurer even then. Valerie Lawson is a feature writer for The Sydney Morning Herald. Her previous books are Connie Sweetheart and The Allens Affair. She lives in Sydney and London.